Back in January this year, when fireworks lit up the midnight sky with sparks of color to ring in the New Year, I was staying at the Hilton by Niagara Falls with my parents and a girlfriend. We had a huge dinner at the hotel, stuffing our faces with pastas and pizzas and garlic bread. Then we spent the rest of the night in our suite playing poker and drinking ice wine, and when sleepiness set in, we bid each other good night and crawled into our plush king sized beds. I was just slipping into REM sleep when I was startled by eardrum-blasting fire alarms. My eyes flew open in panic, I jumped out of bed, pulled on my jeans and wool coat, zipped up my boots with my friend just one shoe behind me. My parents awoke, still in their pajamas, blearily eyed and irritated. Finally, a voice boomed over the PA system advising guests to stay put while the fire department investigated the situation. We paced the room, poked our heads into the hallway, to see what other guests were up to, but they seemed just as oblivious as we were. At this point, the alarms were still ringing at full blast and continued to do so for twenty painful minutes. Before long, the same voice announced it was just a false alarm. What a lovely way to spend the New Year’s, sitting at the foot my bed, arms crossed over my chest, fuming at my disturbed sleep because some retard drunk moron asswipe decided it would be fun to wake up the entire hotel. So you can imagine my utter dislike for smoke alarms. 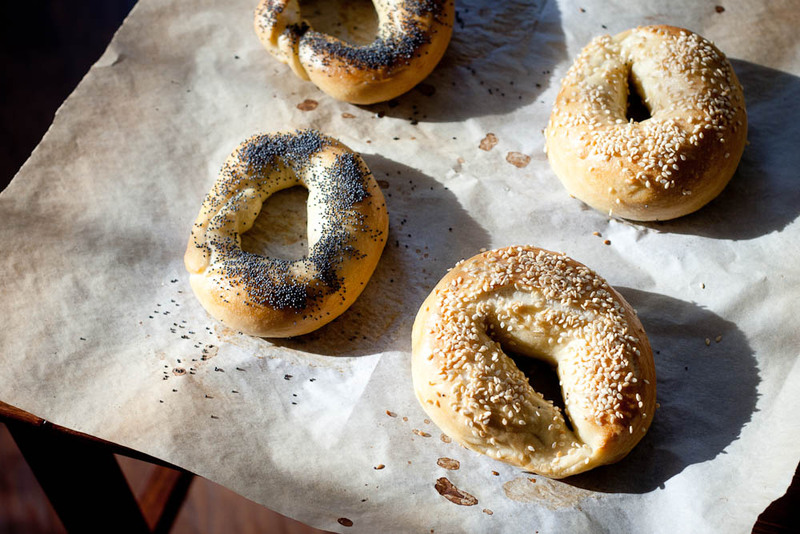 In fact, when I made these bagels, they set off the smoke alarm leading me to call them a whole slew of nasty names. The moment I opened the oven to rotate the baking sheet, the alarm burst at full force, I dashed to unlock the balcony door which thankfully, helped dissipate the smoke (my gut told me not to set the oven at 500°F, but I was adamant about following this recipe) and the alarm shut off. 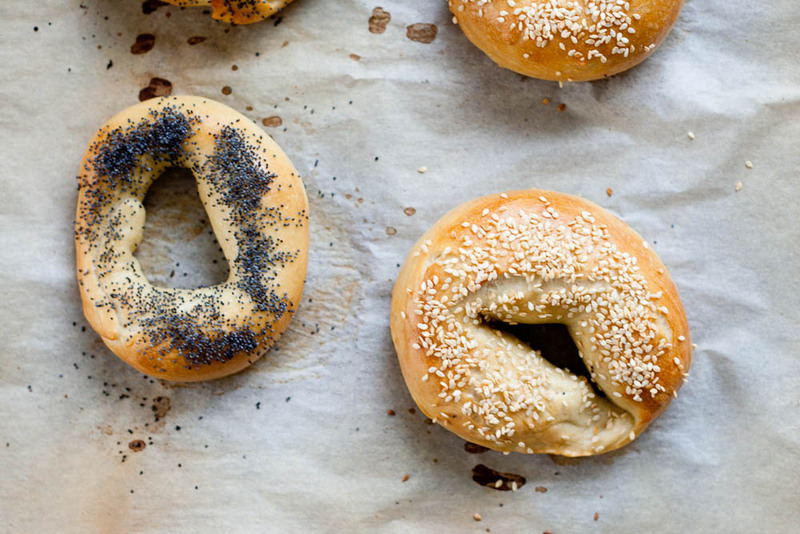 Minor cardiac arrest aside, these are ridiculously good bagels. 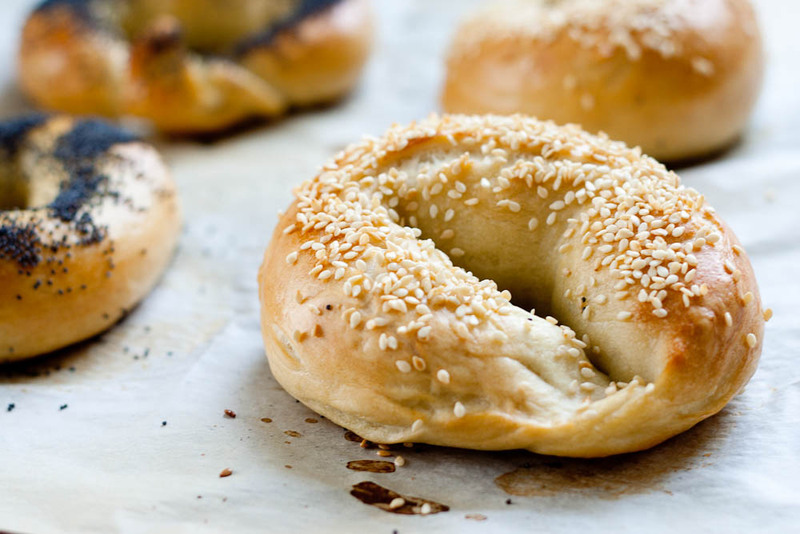 They are crispy and golden on the outside, dense and sesamey on the inside. They are what perfection tastes like. 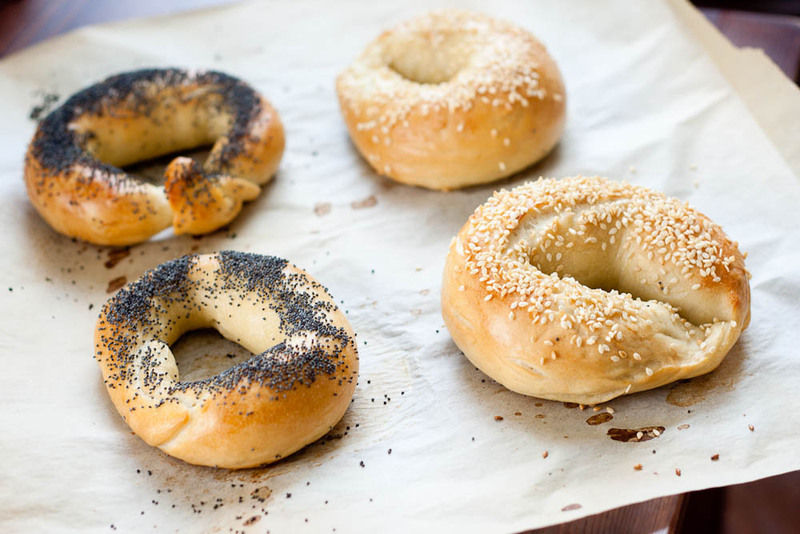 It was an epiphany for me, the simplicity of only five ingredients and the magical thing that time does to create crusty, chewy bagels. 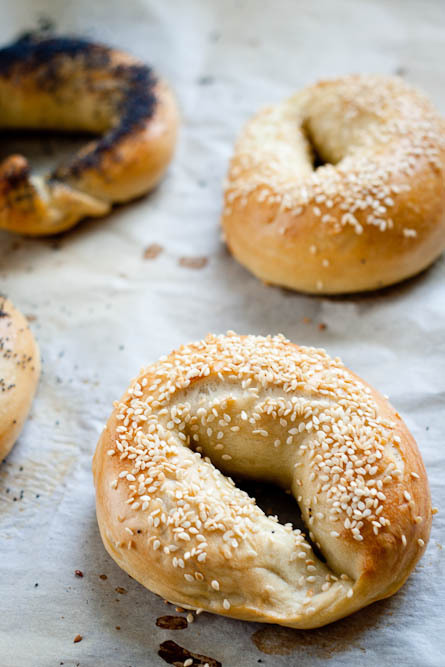 They sit comfortably in the fridge overnight to stretch out the fermentation process and help bring out the subtle flavours in wheat, so I was excited, exhilarated even, to start my day baking. The smells of warm flour and yeast comingled, filling my home with an aroma not unlike a boulangerie. 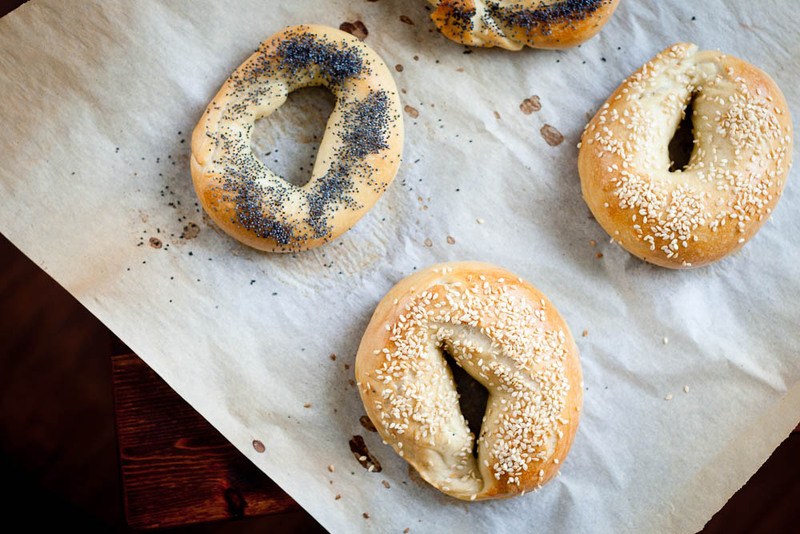 They are not as good as Fairmount Bagels (which are seriously life changing bagels, hello? It’s open 24 hours! And nothing can compare to a 2am post-party bagel feast spent with friends to help soak up the liquor running through my veins). 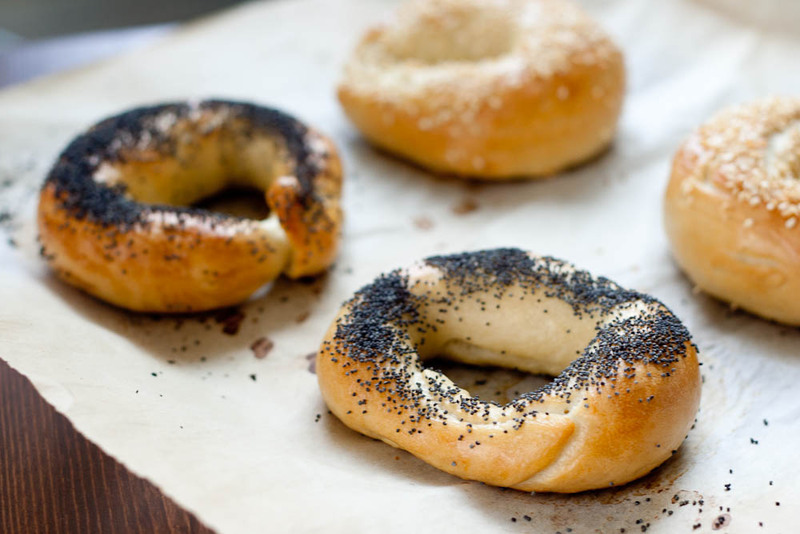 These bagels are not even close, but they bring back such dear memories of me hugging a paper bag filled with a dozen fresh sesame bagels so warm, they are not only smelled amazing, but doubled as a furnace which is quite handy, since the Montreal winters can be brutal. I ate two bagels in one sitting and fought the urge to inhale another. 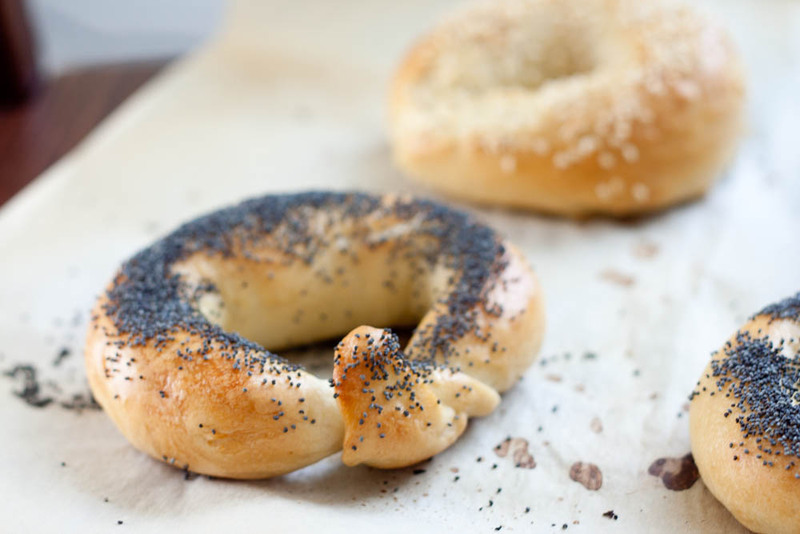 They need nothing else but salted butter smeared on top, they might even be worth setting off the smoke alarm (but try not to call them names, this one bagel gave me the finger). 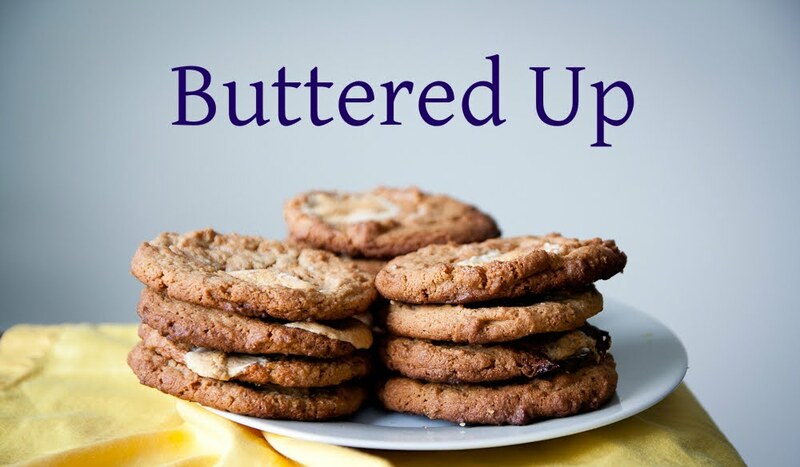 Read the recipe several times before getting started so you are familiar with the work flow. 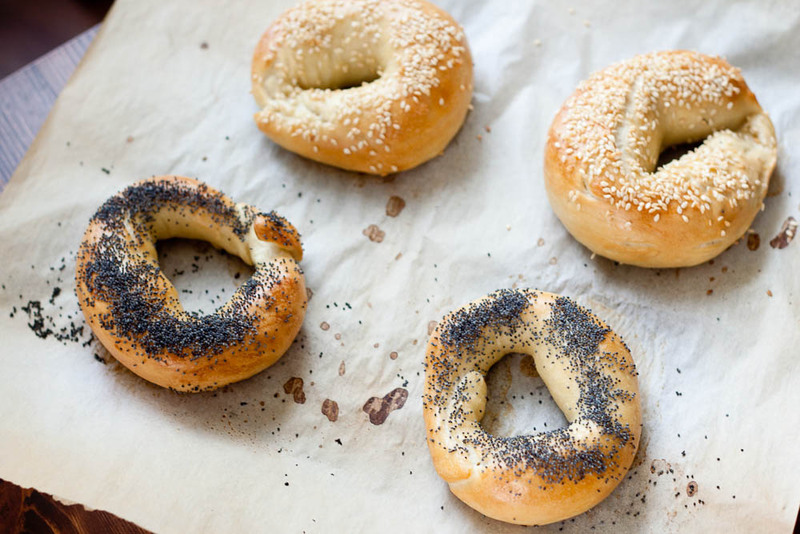 The bagels need to be shaped and then left in the fridge overnight to proof before they are baked, so if you want fresh bagels for lunch, start preparing the dough the night before. And if you’re like me and petrified of the smoke alarm, I set my oven to 450°C and baked them for about 20 minutes, or until golden.